It’s been 90 days since I published Larkspur. Sold 138 copies, and gave away over a thousand. It’s been sent through Draft2Digital, though it seems to take Nook/Kobo and those lot longer to get stuff up than Amazon. I’ll write another post when it’s live. Delphinium is taking a few twists and I’m having to change a few scenes here and there. The more I write, the more.. different it gets in a few ways. I’m trying not to make the same mistake as with Larkspur and rush it, so I’m letting this play out. Much more to do with Italaviana, and the inter-realm politics, but it should settle back to just being about necrocræft for a book or two after. It is fairly full circle since in the first versions of these stories, Pierre and company were vampires (as well as necrocræft users. Well, back then it was Black Magic and Forbidden Magic). 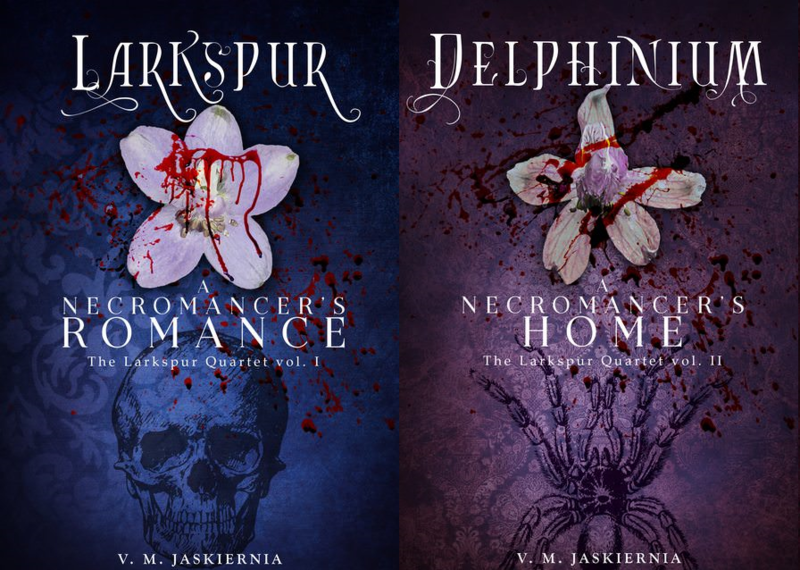 You’ll meet a new character from Italaviana, Silas, who has his own set of stories that take place a few hundred years before the Larkspur series. I’m also starting to think about what the next series I want to be writing will be. It should be better to have two or three realms engaged at one time so I don’t end up bored with one set, and so people get used to a lot of different places. I don’t want to be that author who has one series everyone likes, but everything else they do is ignored because it just isn’t that first one. I love Clandestina, and I’m very proud of the necrocræft magical system, but there’s so much more I just want to write about- wizards, dreamers, werewolves, ringian, unicorns, magicians… Noctuina is a conglomerate of so many countries and kingdoms and worlds, they all deserve to be noticed. I’m hoping that since they are all take place in the same universe and occasionally interact, this won’t be as difficult as if they were different universes entirely. I’m thinking Ibella. Also Italy inspired, it’s near Italaviana. The magic of the realm comes from it being connected to the planes of dreams and nightmares. Political issues arise when the ruling powers in Reality are threatened that some of their citizens hold allegiance to other royals in different planes. Those that can enter the realm of dreams or nightmares are being taken and imprisoned. Dreams and Nightmares also have problems with each other.